This 80 acre property is just off of Hwy 16 in the Crabtree, AR 72031 area of Van Buren County Arkansas. 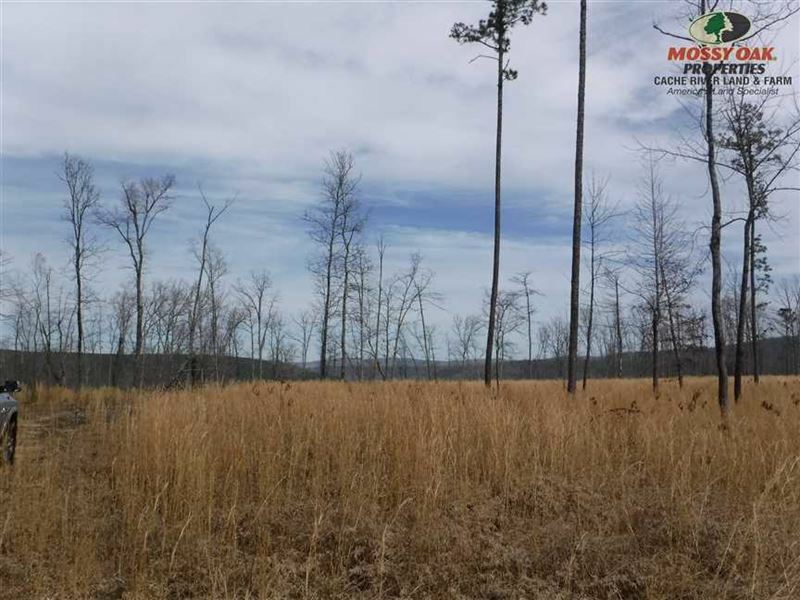 It is a mixed use recreational, timberland, development tract with good turkey, whitetail deer, bear, and small game hunting. Plenty of room for ATV trails, food plots and a nice hunting cabin. Easement access off of Hwy 16. Timber was cut a few years ago and the property was cleaned up really good. Able to bush hog most of it now. Could put fencing up and run cattle. Call Mossy Oak Properties Executive Broker to schedule a showing at.